Cool off with these delicious summer cocktails made with all the best of summer’s flavors… berries, watermelon, lemon, grapefruit, and more! They are the perfect afternoon refreshers on the patio, Memorial Day weekend and 4th of July party pleasers, backyard BBQ beverages, or as an end of the day reward for surviving another crazy summer day with the kids! 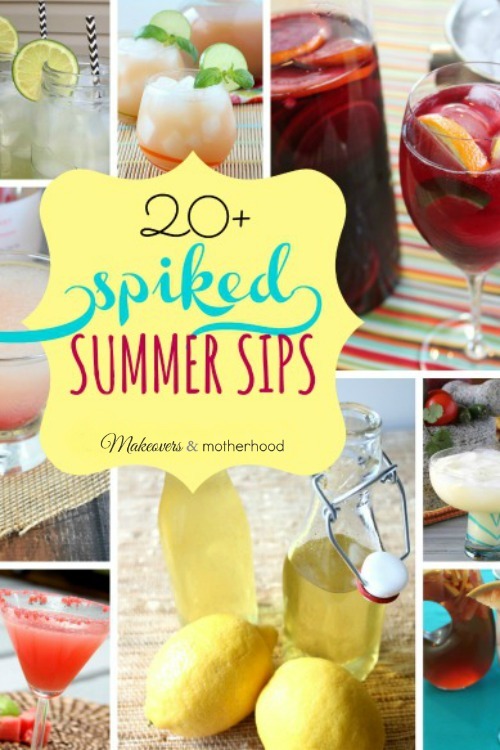 Whatever the occasion, you’ll love these Spiked Summer Sip recipes! As you’re mixing up these creative concoctions, don’t forget that part of the fun of drink is in the presentation. Treat yourself and your guests to your “sip” by serving it in stunning stemware or with a coordinating entree or dessert. These delicious drinks are bursting with color and flavor, so pull out your colorful plates and table covering and make the setting match too! You are making more than just a drink! You’re making memories with friends and cherishing every beautiful ray of sunshine that gleans your way this summer. Sip these summer cocktails and bask in the moment! You’ll love sipping all these delicious summer cocktails! Cheers! Hey, Alisha! 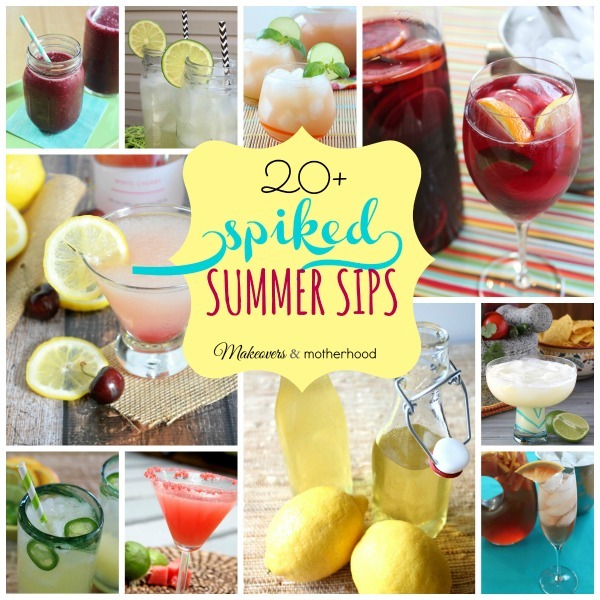 Just wanted to let you know that we loved your 20+ Spiked Summer Sips so much when you shared it at the #HomeMattersParty last week, we’ve FEATURED it THIS WEEK! Hope you can check it out when you get a sec. Happy Friday!!! Thanks so much for sharing my Pina Colada recipe!